Howard basketball took a step forward this year, and it will get at least another chance to get his best foot forward. HU has accepted an invite to the College Basketball Invitational Tourney. It will travel to Conway, SC to play Coastal Carolina on Wednesday. Tip-off is set for 7 PM. After a fourth place finish in the regular season Howard made the semifinals of the MEAC Tournament before bowing out to Norfolk State. HU is 17-16 overall and finished 10-6 in the MEAC. The Bison are led by R.J. Cole, who had a solid MEAC Tournament run after being named Conference Player of The Year. 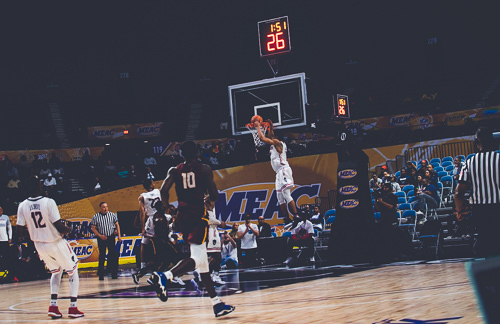 He led the MEAC in scoring (21.6 ppg) and assists (6.4).